I have loved music since I was a young child. At the age of six I began playing the piano, and I have been involved in music ever since--from playing for church services, weddings, dinners, to even teaching the occasional student. 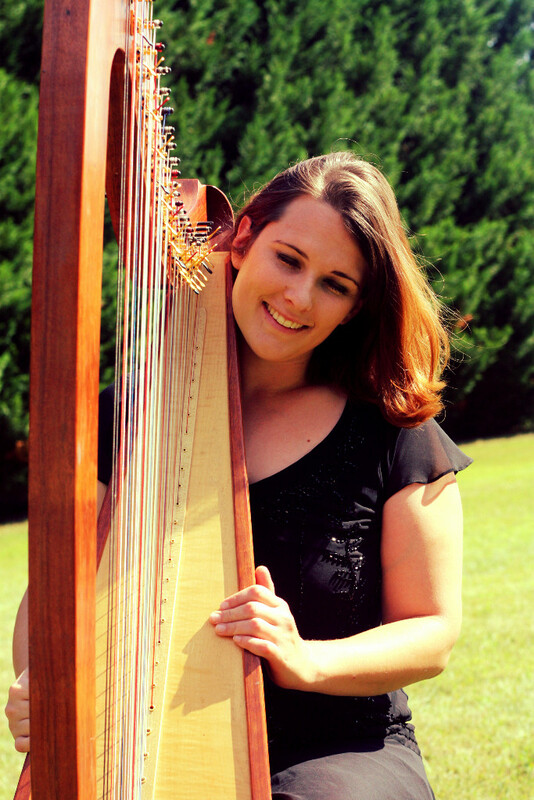 It wasn't until my junior year at Pensacola Christian College that I learned to play the harp. It was after I graduated and got married that I discovered the Celtic harp. I fell in love with the diversity of Celtic music and have been playing my Celtic harp for weddings, social events, and church functions ever since. I began playing weddings three years ago and have played at many different venues across Southern Maryland, including Sotterly Plantation, Woodlawn, Olde Breton Inn, Swan Point Golf and Country Club, Robin Hill Farm, and many churches and private residences. I live in Hollywood, Maryland, and while not harping for weddings I enjoy hiking, kayaking, all things historical, and spending time with my husband our three beautiful children. Although Celtic music is my expertise, I love many types of music and can play a variety of styles to match your event, including traditional, classical, sacred, show tunes, and more.